(Newser) – The reward for bringing back a missing Wisconsin girl doubled Friday as a grieving community said goodbye to her parents, ABC News reports. 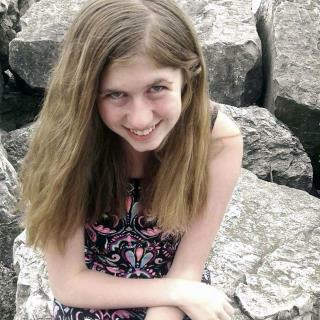 The reward for helping find 13-year-old Jayme Closs rose to $50,000 from $25,000 with the help of Jennie-O Turkey Store, a company where Jayme's parents, James and Denise Closs, had worked. They were shot dead at home in Barron, Wisconsin, on Oct. 15, the day Jayme went missing. Hundreds of people turned out for a joint funeral service Saturday for James, 56, and Denise, 46, the Minneapolis Star-Tribune reports. Odds are she was in on the murder of her parents. Wouldn't be the first time a child has conspired to murder their parents. This is a very sad case, but my reason for hoping they find this girl is simply because I'm tired of seeing her creepy grinning rictus in my news feed. Some things just don't make sense at all, but in all honesty I'd be surprised if they find her alive.